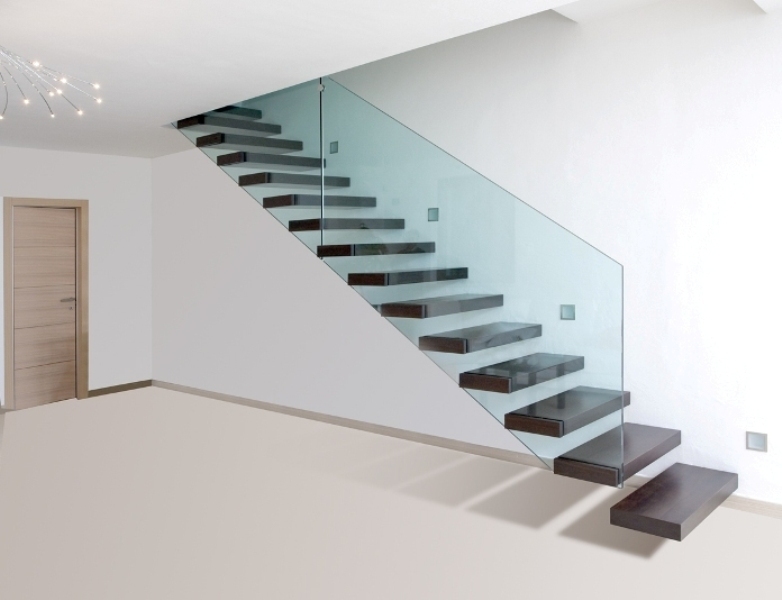 Cantilevered stair with self-bearing steps and no external support. 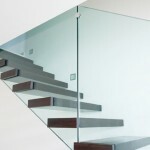 Iroko solid wood tread, wengé finish. 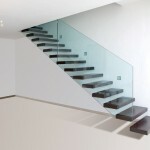 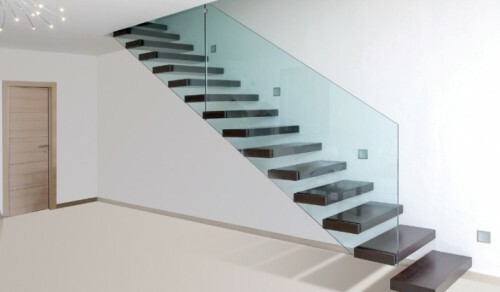 CRYSTAL PLUS banister: 10-mm. 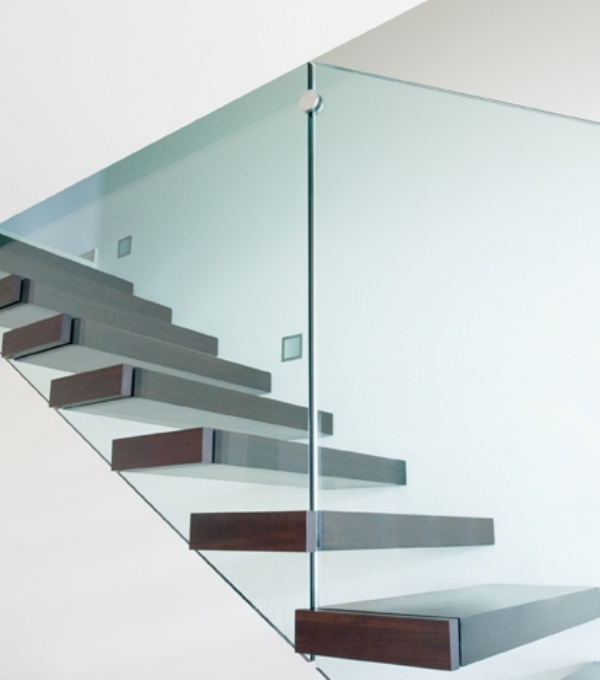 layered tempered glass, transparent natural finish with stainless steel glass positioning studs.